Andrioti School has been providing quality language courses since 1977. Our reputable team of educators, our warm and friendly school environment and the range of courses we offer are sure to enhance your holiday experience. Choose between English or Greek language courses, culture or literature seminars, or let your children join our special vacation courses. Our main aim at Andrioti School is to ensure that you receive the highest standard of tuition possible in a friendly environment; we want to help you develop the confidence and skills to think and use the targeted language. Apart from developing their own materials for class, teachers also make use of a wide selection of international course books and other teaching resources and use state-of-the-art technology to supplement their classes. As a small organization we can concentrate on your individual needs and design a course to suit your needs and interests. We will also be there to help you not only with your classes but also with any accommodation arrangements and leisure activities you may need. 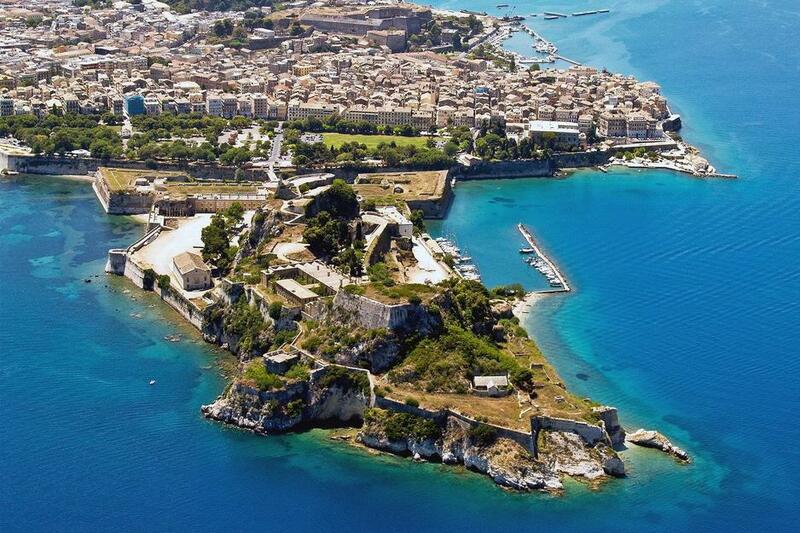 Visit Corfu. Study with Andrioti School. Enjoy a holiday to remember! A general English course aimed at learners who want to improve all four skills (listening, speaking, reading, writing). Material is carefully selected to cater not only for the students’ needs but also for their interests as we are aiming to make this course as enjoyable as possible. A weekly outing is also included within this programme and is part of the course. A placement test will be given to you prior to arrival. The Greek language comes a long way; it has been used in the region (and beyond) for at least 34 centuries; Nowadays, Greek is spoken by at least 13-15 million people in Greece, Cyprus, and Greek communities around the world. Our courses are designed for both beginners and more fluent learners. Let us help you grasp the grammar and syntax of an intriguing language while special attention is also paid to speaking skills. Courses are taught in small groups or one-to-one. Private tuition is for those who wish to focus on their specific individual needs. A placement test will be given prior to arrival, and our academic coordinators will design the most suitable course for you. Let us help you tailor-make it as far as time, intensity and level is concerned. A project-based course aimed at individuals and groups of young people between the ages of 12 and 17 which will help students practise and improve their spoken English through fun activities. Students spend their days in small groups of 10 to 14 students, using specially-designed material and worksheets in but also out of class to find out more about the places they visit. Each day is devoted to the study of one topic or place to be visited. Two outings per week are included within the programme and are part of the course. This course is ideal for young learners who do not want yet another classroom-based course, and who enjoy project work and collaborative learning. It is also aimed at families who spend their holidays on the island and would like their children to do something creative and fun in the morning.